Electronic duo The Presets got the crowd pumping last night at The Emerson as they performed for the 2018 iHeartRadio LIVE series as the headline music act for the most talked about festival in Australia, Chapel Street’s PROVOCARÉ Festival of the Arts. The exclusive event saw the ARIA Award winning and Multi-Platinum electro artists perform their catalogue of hits and new single Downtown Shutdown which was unveiled ahead of their new album HI VIZ, officially released on Friday, June 1. Known for their mastery in being able to unify a dance floor, The Presets brought the party to life with their bangers My People, Do What You Want and This Boy’s In Love dazzling the crowd. Celebrities including Married At Fight Sight’s Carly Bower, Troy Delmege, Nick Furphy and Sean Thomsen, Masterchef’s Khanh Ong, KIIS 101.1’s Joel Gelding and Love Island’s Jaxon Human and Francoise Draschler watched on as The Presets brought the beat in an electronic musical extravaganza. Fans were treated to an incredible performance which could be seen across two floors of The Emerson complete with effects, animations and lighting that set the stage alight. Their disco set featured crowd-favourite Talk Like That followed by Martini in the opening minutes, while the room was buzzing when they dropped their new single Downtown Shutdown mid-way through the set. After an hour of epic dance music, they rounded out the night with a stellar finish that included the brilliant build up number from their new album, 14U + 14Me. 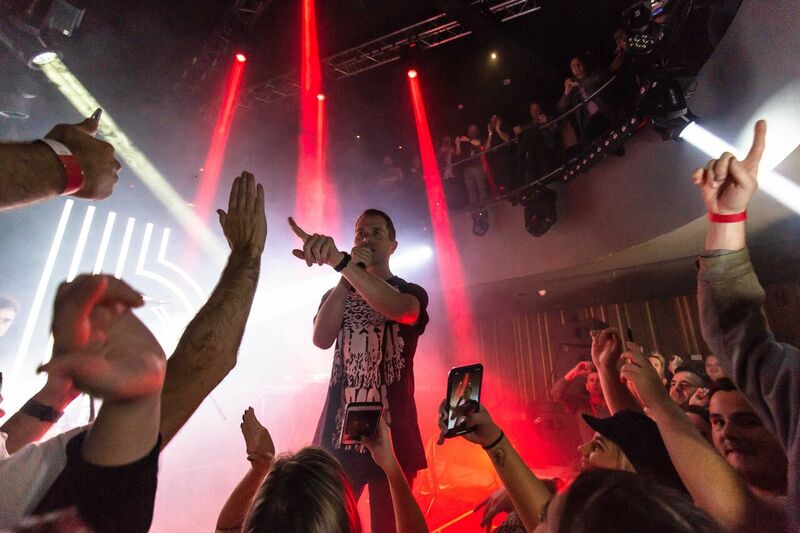 More than 300 fans, celebrities and media packed The Emerson for The Presets’ live in Melbourne event presented by Chapel Street Precinct and iHeartRadio, and supported by KIIS 101.1. Dedicated fans won their way into the exclusive event via iHeartRadio.com.au and provocare.com.au by listening to Melbourne’s KIIS 101.1.